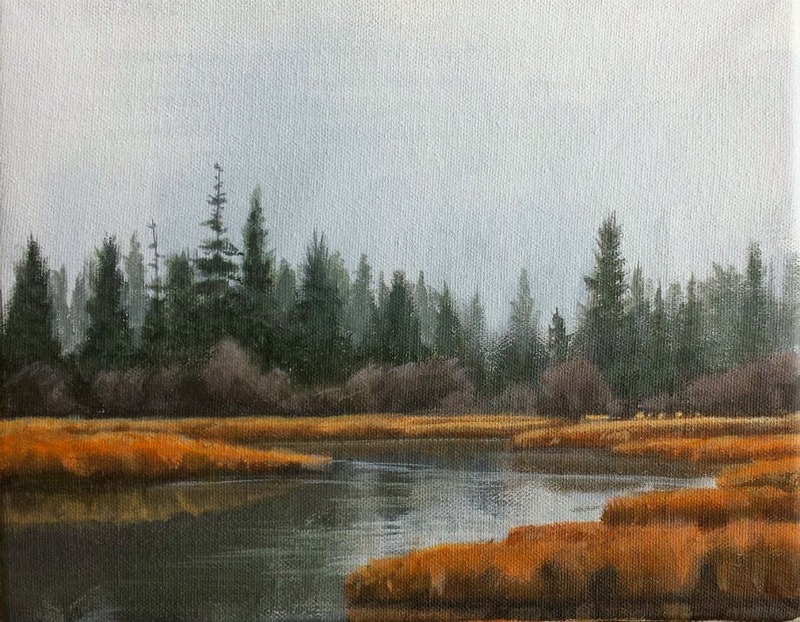 Here is a study on canvas of an approaching snow squall on the Fall River in Central Oregon. This is a favorite spot of mine as I used to spend hours out there. The water is crystal clear and a fantastic trout stream. This particular spot is where the river is about to meet the famed Deschutes River.